INCLUDES: 6 boxes of Nature's Path EnviroKidz Koala Crisp Chocolate Cereal (11.5 Ounces in each box). ALWAYS ORGANIC: Certified USDA organic, this delicious cereal represents the true values of EnviroKidz. This crispy, flavorful cereal is Non-GMO Project Verified, gluten-free and does not include artificial colors, flavors or preservatives, synthetic herbicides and pesticides. 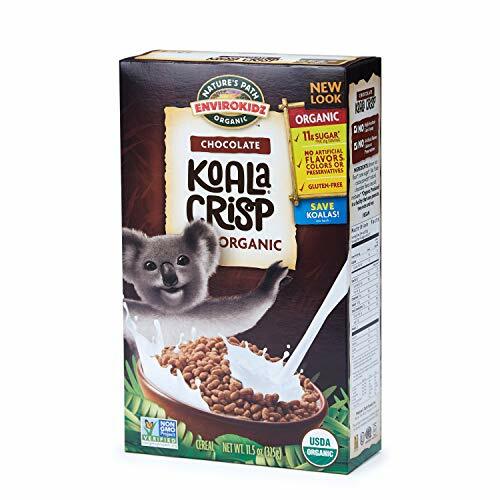 CRISPY, AND DELICIOUS: Satisfy the sweet tooth of every kid in your household with this organic Koala Crisp cereal that features a rich blend of Fair Trade cocoa, organic brown rice flour, cane sugar and a dash of sea salt. The crispy texture, combined with the sweet flavor is perfect dry or when blended with your favorite type of milk. SAVE ENDANGERED ANIMALS ONE BOWL AT A TIME: Did you know that each time you and the kids indulge in EnviroKidz products, you are also paying it forward? 1 percent of all sales of every EnviroKidz cereal is donated to animal conservation efforts to help save endangered species like the koalas and kids' educational programs around the globe. PERFECT FOR BAKING: Looking for a guilt-free dessert for your kids? Use our decadent Chocolate Koala Crisp Cereal and make a big batch of chocolate rice crispy treats for your kids and their friends. Final Price as low as $19.00 Shipped!